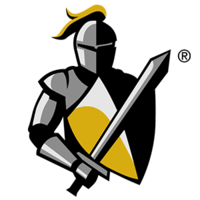 * Develops professional and positive client relations designed to attract and promote new consulting and training business and foster an on-going Black Knight relationship. * Markets Black Knight Professional Services, as well as represents other BKFS products and services to our client base. * Develops procedures, flowcharts and other consulting materials as required by the engagement assigned and devises and/or modifies processes and procedures to achieve greater efficiencies and to solve the most complex problems related to clients’ BKFS products. * Assists other BKFS departments by providing professional and industry expertise as needed. Intermediate professional role. Moderate skills with high level of proficiency. Works under general supervision with increased latitude for independent judgment. Identifies non-routine issues and routes/escalates to appropriate team member. Supports moderately complexity products and/or services and has knowledge of all BKFS products and services offered to the assigned client, customer, etc. Works on multiple concurrent projects of medium complexity. Is an active team member, contributes to moderate to complex projects to gain experience, shares ideas and suggests process improvements appropriate for level of experience. Consults with senior peers on semi-complex processes to learn through experience. Typically requires four (4) or more years of experience in a product support role, with a minimum of three (3) years of practical experience with Black Knight applications and/or managerial-level experience preferred. This is a remote opportunity and requires up to 75% travel.